You might remember that last Fall I admitted I wasn’t a huge fan of pumpkin. 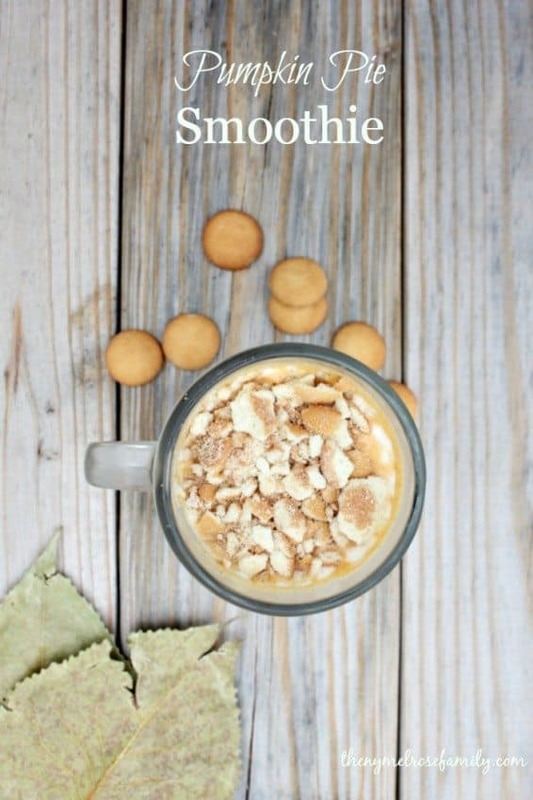 I dabbled a bit with my Pumpkin Pie Energy Bites and started to have a little bit of a change of heart. 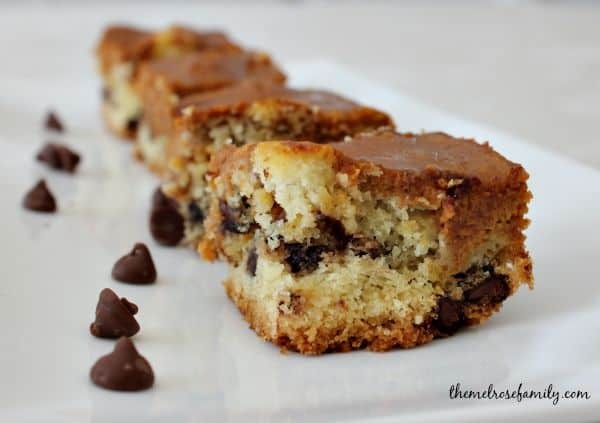 After making these Pumpkin Pie Chocolate Chip Bars, I am sold on pumpkin and you will be too. 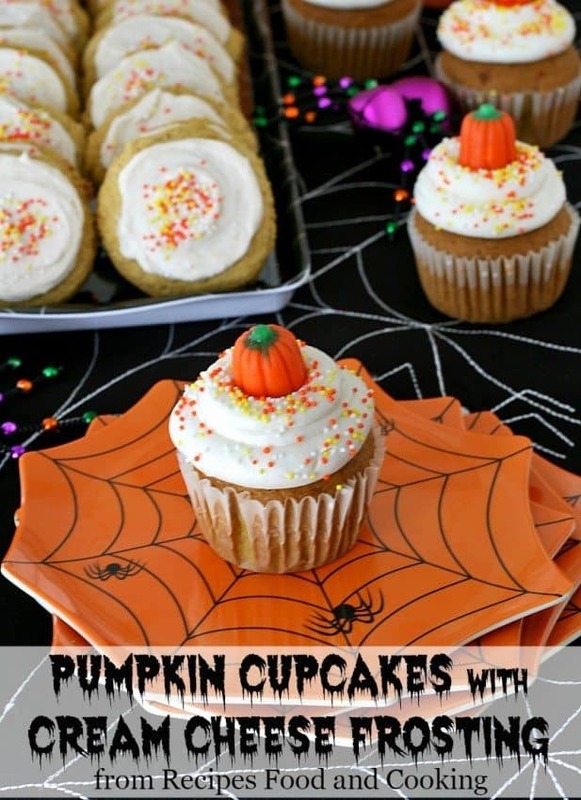 These are so easy and taste so good! My girls love anything that is a cookie or cupcake, which is largely why I have a separate section under desserts just for those. They really don’t enjoy pie or cake as much for some reason. I think it’s largely due to the fact that they like having their own individual serving. My goal with these pumpkin pie bars was to give them a cookie like texture. I won both of my girls over with my Apple Pie Cookies so I was hoping to do the same with these pumpkin pie bars. I definitely won the challenge of creating a cookie bar that my girls love. They just can’t resist chocolate chips. They’d eat them like skittles if I let them. I have a tendency to enjoy them as well which is why I sneak them into everything from Banana Breakfast Cookies to Chocolate Strawberry Energy Bites. Can you blame me though? 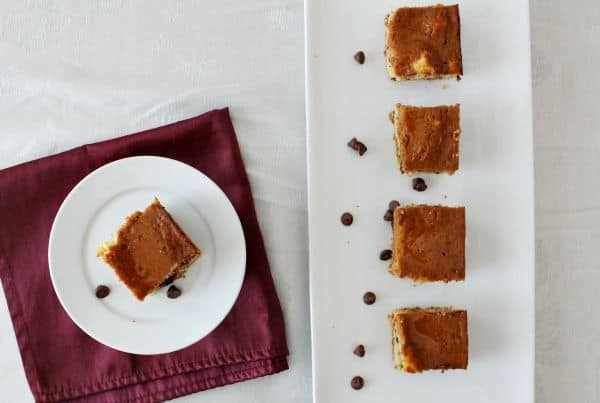 My issue with pumpkin pie in the past is that it just wasn’t the right texture for me and after making these pumpkin pie bars, I realize it’s all about your timing. You absolutely have to wait for the pumpkin pie to set before taking it out. I’ve never enjoyed jiggly or soft food, which was also my issue with bananas. I’ve definitely matured past this though. It only took 35 years. 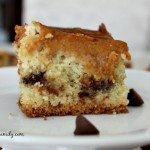 The great thing about these bars is that they are kid friendly due to the chocolate chip crust, but also decadent enough for a special occasion because of the pumpkin pie topping. 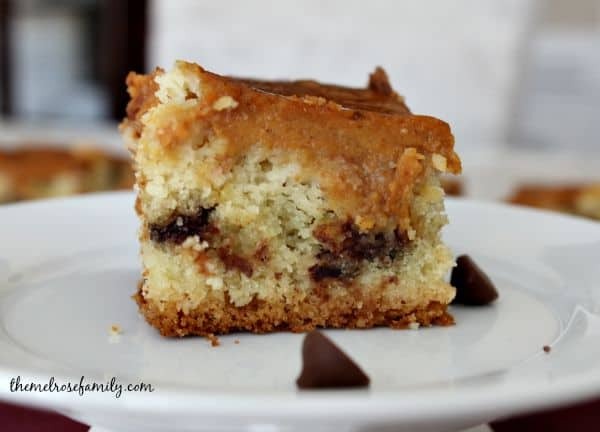 Chocolate Chip bars with a pumpkin pie topping are the perfect dessert for any occasion. Preheat the oven to 375 F and grease a baking dish with cooking spray. In a mixing bowl combine the flour, baking soda and salt and set aside. In a separate mixing bowl beat the softened butter and sugars until they are well combined. Add in the vanilla extract and one egg at a time and mix well. Add the dry ingredients to the mixture and combine. Finally fold in the chocolate chips. Layer the baking dish with the cookie dough and bake for 5 minutes in the preheated oven. Meanwhile, mix together all of the ingredients for the pumpkin pie. Pour the pumpkin pie mixture onto the top of the cookie dough and place back into the oven at 375 for another 20-30 minutes or until the pumpkin pie has set and is no longer liquid.